Company Name : Song Huei Electric Co., Ltd. 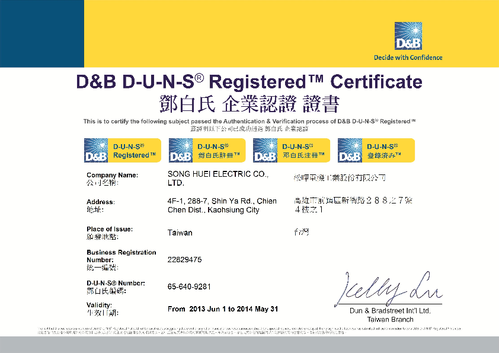 Copyright(c) SONG HUEI ELECTRIC CO.,LTD. Taiwan Products, China Sources, China Trade.